Crypto Jews – Am I Jewish? Crypto-Judaism is the secret adherence to Judaism while publicly professing to be of another faith; people who practice crypto-Judaism are referred to as “crypto-Jews”. The term crypto-Jew is also used to describe descendants of Jews who still (generally secretly) maintain some Jewish traditions, often while adhering to other faiths, most commonly Catholicism. The many Marranos (in the Balearic Islands, Chuetas), who publicly professed Roman Catholicism but privately adhered to Judaism during the Spanish Inquisition, and particularly after the Alhambra decree of 1492, are the most widely known crypto-Jews. Officially they were known as “New Christians,” and there was considerable legislation directed against them in both Spain and Portugal and in their colonies, the chief activity of the Inquisition being directed against them. The phenomenon of crypto-Judaism, however, dates back to earlier times as Jews forced or pressured to convert by their sovereign hosts secretly kept Jewish rites. The father of Maimonides, for example, is purported to have nominally embraced Islam during the Almohad persecutions of Muslim Spain in 1146. Some of the Jewish followers of Sabbatai Zevi (known as Sabbateans) and later of Jacob Frank (known as “Frankists”) formally converted to Islam and Catholicism respectively, but maintained aspects of their versions of Messianic Judaism. Many crypto-Jews live in Russia and other Eastern European countries, though many of them may have become Jews publicly since the end of Communism. It also appears that there are, or have been, several classes of Crypto-Jews in Muslim lands; thus the ancestors of the Daggatuns probably kept up their Jewish practises a long time after their nominal adoption of Islam. This was also done by the Maimins of Salonica (Grätz, in “Monatsschrift,” Feb., 1884), and near Khorassan there still remain a number of Jews known as the “Jedid al-Islam,” who were converted to Islam half a century ago (“Il Vessillo Israelitico,” April, 1884). In central Iran, there is a village called Sebe, where the local Muslims practice many Jewish customs, such as women lighting a candle on Friday night (the eve of the Jewish Sabbath). Prior to sundown on Friday, they prepare a small fire which they leave on throughout Saturday, so as not to ignite the fire on Sabbath. It is believed Sebe is one of several Persian Jewish communities who underwent forced mass conversion to Islam. Small communities of crypto-Jews are still said to exist, allegedly still maintaining their hidden traditions, in the Balearic Islands, in Portugal especially at Covilhã, northeastern Brazil, and throughout Spain. One interesting example is the “Belmonte Jews” in Portugal. A whole community survived in secrecy for hundreds of years by maintaining a tradition of intermarriage and by hiding all the external signs of their faith. The Jewish community in Belmonte goes back to the 12th century and they were only discovered in the 20th century. Their rich Sephardic tradition of Crypto-Judaism is unique. Only recently did they contact other Jews and part of them now profess Orthodox Judaism, although many still retain their centuries-old traditions. The Xuetes are a minority on the Balearic island of Majorca (Mallorca) that are descended almost entirely from crypto-Jews, forced to convert in 1391 C.E. The term “xueta” literally translates to “pig” in Catalan, similar to the old Spanish (Castilian) term of the same meaning. Today, they comprise a population of 20,000-25,000 on an island of 750,000; they have professed Roman Catholicism for centuries but have only recently seen a lessening in ethnic tensions with ethnic Majorcans. According to some Orthodox Rabbis, the majority of Xuetes are probably Jewish under Jewish law due to the low rate of intermarriage with outside groups. Only recently have intermarriages between the two groups been more prevalent or noticeable. During World War II, Nazi Germany is known to have pressured Majorcan religious authorities into surrendering the Xuetes, targeted because of their Jewish ancestry; religious authorities are reported to have refused the Nazi request. Several Xuetes are reported to have “reconverted” to Judaism, and some are known to work as Rabbis. There are three distinct historical components to colonial roots of crypto-Judaism, largely restricted to Spanish-held territories in Mexico, each with distinct geographical and temporal aspects: early colonial roots, the frontier province of Nuevo Leon, and the later northern frontier provinces. The crypto-Jewish traditions have complex histories and are typically embedded in an amalgam of cryptic Roman Catholic and Judaic traditons. In many ways resurgent Judaic practices mirrored indigenous traditions practiced loosely under Roman Catholic veil. In the early days of the European colonization of Mexico, crypto-Jewish conversos from both Spain and Portugal migrated to the Mexican port of Vera Cruz as well to Mexico City (the revitalized Tenochtitlan), a Spanish-controlled colony that was thought to be more lax in inquisition-related matters. Many of the immigrants from Portugal were secondary immigrants from the Jewish Expulsion in Spain of 1492. However, a later similar decree was also issued in Portugal in 1497 effectively converted all Jewish children, making them wards of the state unless the parents also converted. Therefore, many of the early crypto-Jewish migrants to Mexico in the early colonial days were technically first to second generation Portuguese with Spanish roots before that. The number of such Portuguese migrants was significant enough that the label of “Portuguese” became synonymous with “Jewish” throughout the Spanish colonies. Immigration to Mexico offered lucrative trade possibilities in a well-populated colony with nascent Spanish culture counterbalanced by a large non-Christian population. It was largely thought that inquisition-activities would be lax given that the lands were over-whelmingly populated by non-Christian indigenous peoples. So many perceived crypto-Jews were going to Mexico during the 1500s that officials complained in written documents to Spain that Spanish society in Mexico would become significantly Jewish. Officials found and condemned clandestine synagogues in Mexico City. At this point, colonial administrators instituted la Ley de la Pureza de Sangre (Blood Purity Laws), which prohibited migration to Mexico for New Christians (Nuevo Christiano), i.e. anyone who could not prove to be Old Christians for at least the last three generations. During this early time the Mexican Inquisition was formally instituted to insure the orthodoxy of all migrants into Mexico. The Mexico Inquisition was also deployed in the traditional manner to begin ensuring orthodoxy of converted indigenous peoples. The first burnings or Autos da Fe of the Mexican Inquisition were largely targeted at indigenous converts convicted of heresy or crypto-Jews convicted of relapsing into their ancestral faith. Except for the province of Nuevo Leon, the early migration of crypto-Jewish converts did not continue unabated past the initiation of the Blood Purity Laws. The history of the colonization of Mexico can be described as a northward expansion over increasingly hostile geography well-populated by hostile tribes and loose confederations of indigenous peoples. This expansion was largely financed by the exploitation of mineral wealth, the exploitation of indigenous peoples as labor in mines and the establishment of ranchos for livestock. One troublesome region was a large expanse covering the North-Eastern quadrant of the current geography of Mexico. Chichimec, Apache and other tribes had proved resistant to Christianization and “settling” and in general were perceived to render the frontier (frontera) a lawless and unsettled region. Luis Carvajal y de la Cueva was a Portuguese royal accountant and a New Christian, who received a royal charter to settle the large expanse of land in the hostile frontier, named Nuevo Leon. Significantly, Carvajal y de la Cueva received an exemption from the King of Spain to allow any New Christian to participate in the settling of this region. This exemption allowed an increased number of peoples to come to the hostile region while doing so with immigrants that were legally barred from entering Mexico elsewhere. Carvajal chartered ships from Portugal and the passenger list is thought to have consisted exclusively of New Christians. With Carvajal as governor the colony was based in the city of Monterrey, currently in the state of Nuevo Leon. Within a few years, reports were filed in Mexico City claiming specifically of Jewish rites being performed in the Northern Province and of lax Christianization efforts to convert heathen indigenous peoples. The governor, his immediate family members and others were called to appear before the Inquisition in Mexico City. They were arrested and jailed. The governor subsequently died in jail, while his family members were rehabilitated. One of these was Anna Carvajal, a niece of the Governor. She and others were eventually caught again and sentenced to a burning at the stake for relapsing. The governor’s nephews changed their name to Lumbroso. One of these was Joseph Lumbroso, also known as Luis de carvajal el mozo, who is said to have circumcised himself in the desert to conform to Jewish law. His memoirs, letters and inquisition record survive. Two other nephews also changed their names to Lumbroso and became famous rabbis in Italy. During the time in which Governor Carvajal was in office, the city of Monterrey became a target of migration by other crypto-Jews feeling the pressure of the Mexican Inquisition in the south. Thus, the story of Nuevo Leon and the founding of Monterrey is significant for openly concentrating a crypto-Jewish community from all parts of Mexico. Such Jewish communities did not exist in Mexico until the immigration of Ashkenazi communities in the late 1800s and 1900s. Due to the activities of the Mexican Inquisition in Nuevo Leon, many crypto-Jewish descendants migrated to other frontier colonies further west to the trade routes passing through the towns of Sierra Madres Occidental and Chihuahua and further north on the trade route to El Paso (Texas) and Santa Fe (New Mexico), and somewhat less in California. In the former Spanish-held Southwestern United States, some Hispanic Roman Catholics have stated a belief that they are descended from crypto-Jews and have started practicing Judaism. They often cite as evidence memories of older relatives practicing Jewish traditions. Skeptics of the authenticity of the Jewish ancestry of Latinos of the Southwest argue that these remembered traditions could be those of Ashkenazi, not Sephardi, Jews and may possibly be constructed memories due to suggestion by proponents. It is also argued that the Jewish traditions practiced by older relatives were introduced by groups of Evangelical Protestant Christians who purposely acquired and employed Jewish traditions as part of their religious practices. Recent genetic research, however, has shown that many Latinos of the American Southwest are indeed descended from Anusim (Sephardic Jews who were forced to convert to Roman Catholicism). Michael Hammer, a research professor at the University of Arizona and an expert on Jewish genetics, said that fewer than 1% of non-Jews possessed the male-specific “Cohanim marker” (which in itself is not necessarily endemic to all Jews, but is prevalent among Jews claiming descent from hereditary priests), and 30 of 78 Latinos tested in New Mexico were found to be carriers. 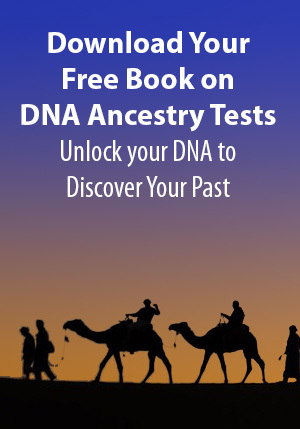 DNA testing of Hispanic populations also revealed between 10% and 15% of men living in New Mexico, south Texas and northern Mexico have a Y chromosome that traces back to the Middle East. In northern Mexico, Monterrey, the capital city of the State of Nuevo León, that shares a border with Texas, is said to contain descendants of Crypto-Jews. Monterrey was founded by Luis Carvajal y de la Cueva who although had converted to Roman Catholicism, in 1590 was accused by the Spanish Inquisition of heresy. It was officially found that members of his extended family had reverted to Judaism and he was exiled from the territory then known as New Spain. A large portion of his extended family, 121 people, was executed in Mexico City in 1596. They included most of the original settlers of Monterrey. The State of Jalisco also has several cities with large numbers of Anusim, mainly Guadalajara, Ciudad Guzman, and Puerto Vallarta, although a steady influx of Ashkenazi Jews from Eastern Europe during the late 1800s and early to mid-1900s into Mexico City, Guadalajara, and Veracruz is also widely known. Today, there are between 150,000 and 180,000 Mexican Jews, both Ashkenazi and Sephardi. Researchers and historians say that number would rise considerably if Anusim (or Crypto-Jews) were included in those estimates. As in the American Southwest, in the department of Antioquia, Colombia, many families also hold traditions, handed down memories and oral accounts of Jewish descent. In this population, Y chromosome genetic analysis has shown an origin of founders predominantly from “southern Spain but also suggest that a fraction came from northern Iberia and that some possibly had a Sephardic origin”. In addition to these communities, other now Roman Catholic-professing communities descendants of Crypto-Jews are also said to exist in Cuba, Puerto Rico, and amidst the populations of various other Spanish-speaking countries of South America (Argentina, Venezuela, Chile and Ecuador). From these communities comes the proverb, “Catholic by faith, Jewish by blood”. All the above localities were former territories of either the Spanish or Portuguese Empires, where the Inquisition eventually followed and continued persecuting the Jews who had settled there, and where it endured for longer than it had in Spain itself. Luis de Carvajal was the governor of the state of Nuevo Leon, a northern Mexico province in which the restriction against immigration from conversos was relaxed in order to encourage migration to the peril-fraught frontier. He was responsible for bringing a significant group of crypto-Jewish conversos living in Portugal since the Expulsion of 1492. Luis de carvajal el mozo, was the nephew of Jose Luis Carvajal y de la Cueva, the only crypto Jew of the Spanish colonial era whose memoirs have been preserved. Rita Moreno, actress, and Fidel Castro, President of Cuba, among others, “have acknowledged Marrano ancestry”. Baruch Spinoza was the son of Iberian conversos, but grew up in the Jewish community in Amsterdam and was well versed in the teachings of Judaism. Miguel de Cervantes is suspected by some scholars of Judaic Studies to have been a crypto-Jew. Rodrigo Lopez (physician) was a marrano who fled from Portugal to England and became physician to Queen Elizabeth.